Ever heard of World Youth Day? An event which unites the faith millions of people around the world. World Youth Day has been held for 26 years from countries all over the world from Rome, to Argentina, USA, Philippines and Australia. This year the event will take place in Madrid, Spain. I’m incredibly excited as I leave tomorrow for my pilgrimage. I’ll be travelling from Sydney to Dubai then will go to the Holy Land in Israel. 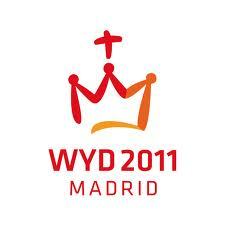 After all this we will end up in Madrid where we all will celebrate World Youth Day together. I chose to go mainly to not only build my faith but to also really get to know myself and develop as a better man. I admit to being doubtful towards religion like so many people in this generation but what drives me is the connection and fulfillment I feel within myself. As I said before I can’t wait to go and if anyone reading this is going to World Youth Day then I hope to see you there! I will share my adventures on my blog when I return.